A table cheese that melts mellifluously, it’s also scrumptious in sandwiches, or shredded and tossed in salads. Seasoned connoisseurs and experimental palates will adore this speciality cheese. 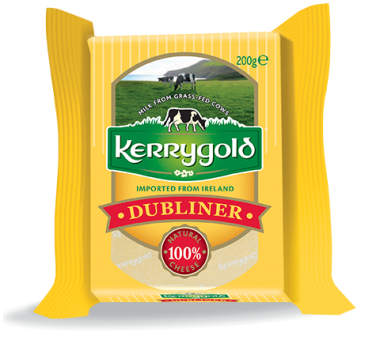 One to keep you guessing, Dubliner has notes of sweet Swiss nuttiness, mature cheddar, and the piquant bite of an aged Parmesan.